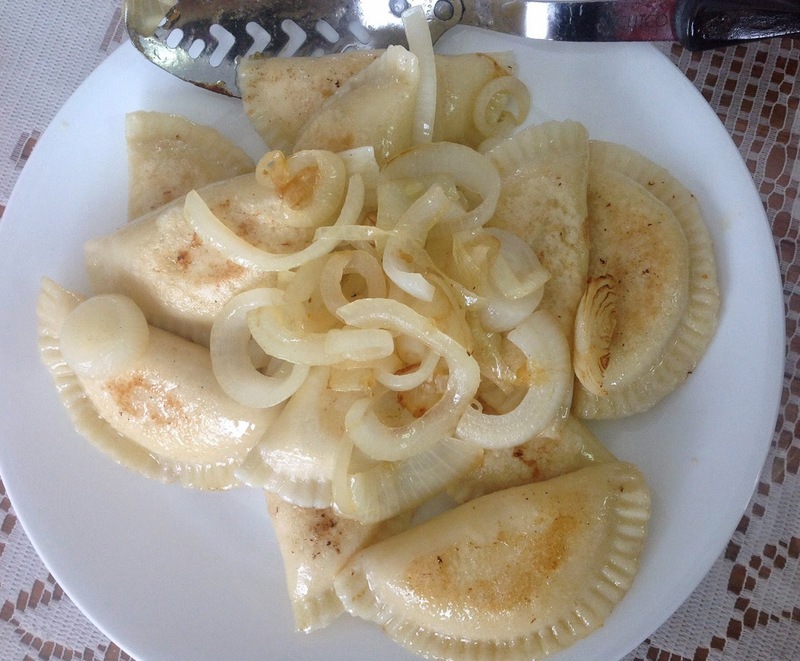 Easiest Gluten Free Perogies Ever! 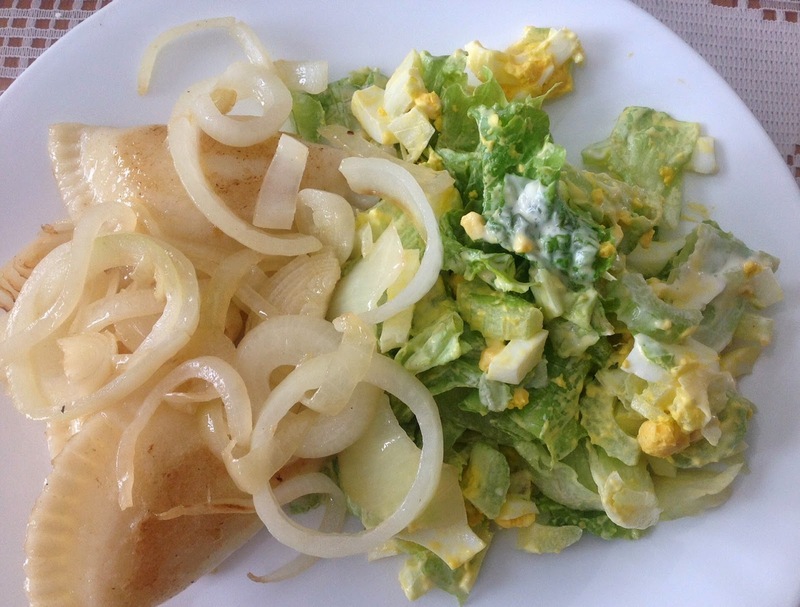 For years we made a great perogy but it had too many ingredients so I did not like to make them very often. I had a recipe in a binder for a few years that was for steamed dumplings that I thought would work for perogies and today I finally tried that recipe using a few different ingredients. Their method was to cook the water and flour first – something I may try one day ….I just used their ingredients and combined it with another recipe I had (not sure whose this one is – sorry) and these ended up turning out fantastic! First cook potatoes and onion in water until tender. Drain and mash with the cheddar cheese. Add salt and pepper to taste. Place in fridge to get good and cold. Perogy Dough: Place all the dry ingredients into a mixing bowl. In a 2 cup measure or bowl place the water, eggs, and oil and with fork mix together. Add to the dry mixture and with wooden spoon mix well. If very dry add a little more water. Dough will be just slightly sticky. Lightly dust the counter with rice flour and knead the ball of dough until smooth. Divide into 36 balls. 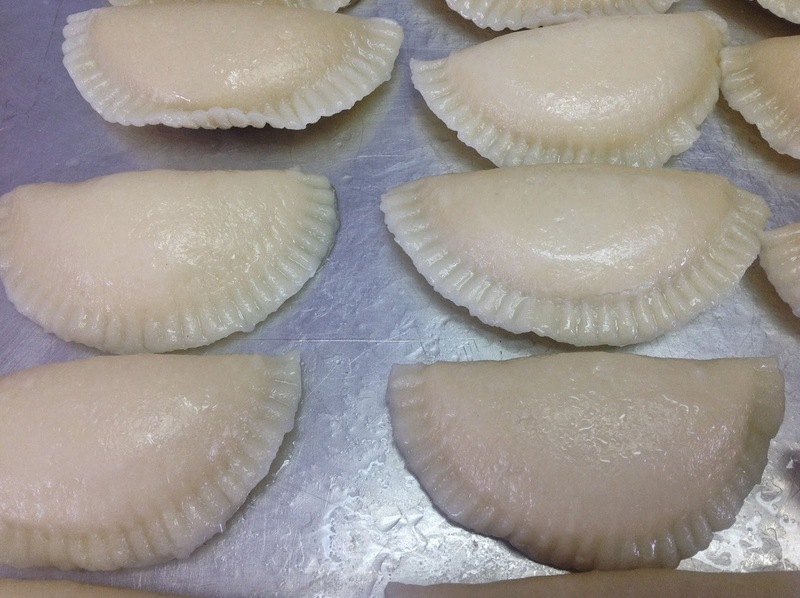 Using your Birds Hill perogy press flatten the dough ball and place a marble sized ball of filling onto one side. Fold the die and crimp perogy. Place on well oiled baking sheet until ready to boil. (or roll out dough and cut into 3 or 4″ circles. Place ball of filling on one side and fold and crimp). Bring a large pot of water to a boil. Add a little shake of salt to the water. 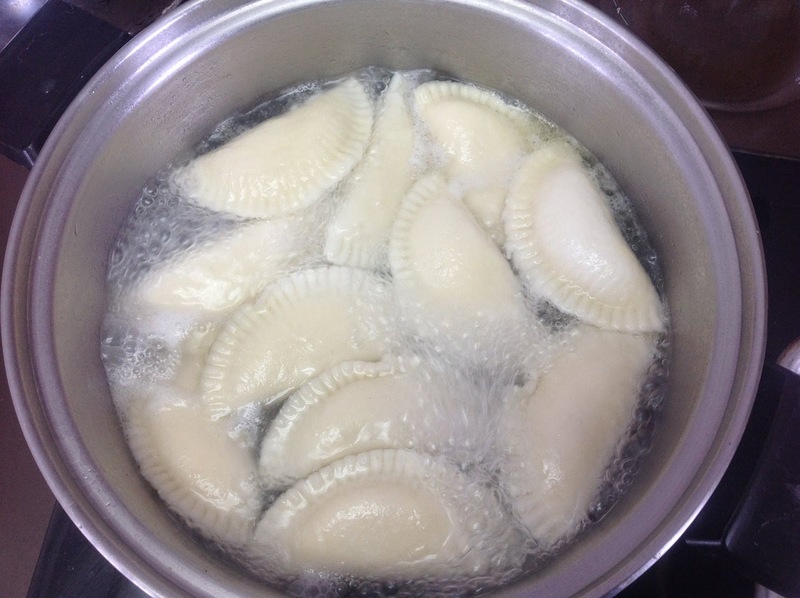 Once the water is boiling add about 8- 10 perogies (do not overcrowd). The perogies will rise and let boil for 30 seconds. Remove with slotted spoon onto another greased sheet while you boil the rest. Do not over cook in the water. To fry add some oil or butter to a frying pan and fry on each side until golden. Serve with fried onions, bacon, sour cream, chives etc. Pretty thrilled that after cooking 38 perogy none broke! Next Post Gluten Free Meat & Potato Pie – Delicious! They were great and also fried up nicely with onions. This recipe worked great and tasted great. Loved using the perogi press too. Hi Bev. I don’t have a video on the smaller pocket pie /perogy press yet. However, if you go to Birds Hill Enterprises.com and under catalog select the pocket pie machine you will get an idea of how it works. There is a video there of the larger machine working.